Return to Action … Max McLaughlin and the No. 1 Mohawk Northeast team return to action on Saturday afternoon at Bristol Motor Speedway (BMS) after a 54-day hiatus since the NASCAR K&N Pro Series East (NKNPSE) opener at New Smyrna Speedway (NSS). Saturday’s Zombie Auto 150 will be his second-career NKPSE start after an 11th-place finish to start the season. Bristol Debut … Round two of the NKNPSE season marks McLaughlin’s first trip to “The Last Great Colosseum” and just his fourth-career start on pavement. “Mad Max” has made the jump to the NKNPSE after spending the last three years in the Super DirtCar Series and earned two-consecutive Most Popular Driver awards on the tour. 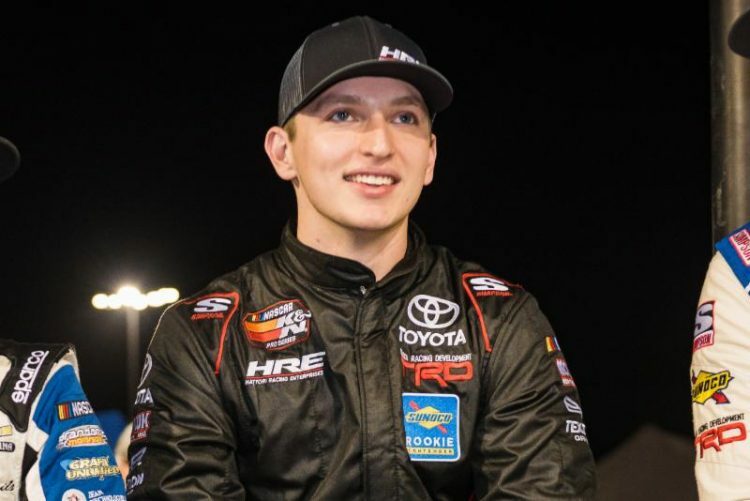 BMS will mark the first high-banked asphalt track he has competed on, as his first three asphalt starts came at Caraway Speedway, South Boston Speedway, and NSS. Shining Bright … “Mad Max” will sport some familiar colors to those that followed his career in the big block modified ranks. His familiar white and florescent red colors with Mohawk Northeast will adorn the No. 1 Toyota Camry on Saturday afternoon. Specializing in heavy construction and marine construction, as well as tugboat transportation, Mohawk Northeast, Inc. is a Connecticut-based construction company that offers its valued clients cost-effective, efficient solutions founded on engineering expertise. Our turnkey construction services also include facilities maintenance and fabrication and coating. Chassis Selection … Not only will “Mad Max” have new colors on board at BMS, but he will also have a new chassis. Chassis No. 010 is brand new to HRE’s fleet and will see on-track competition for the first time this weekend. Chassis No. 002 that McLaughlin raced at NSS will serve as the backup. Tune In … FansChoice.tv will have live coverage of Saturday’s Zombie Auto 150 at 4:00 p.m. ET while NBC Sports Network will air tape delayed coverage on Thursday, April 11that 4:00 p.m. ET. Stay updated with McLaughlin on social media by following @Hattori_Racing on Twitter, @hattoriracing on Instagram and Hattori Racing Enterprises on Facebook.